Is Bankruptcy A Good Option For Debt Relief? 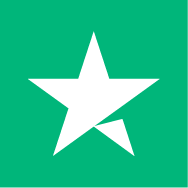 HomeBlog BankruptcyIs Bankruptcy A Good Option For Debt Relief? Did you know that you have a constitutional right to declare bankruptcy? It’s true. It’s right there in the Constitution. Our Founding Fathers clearly understood about debt and that people should have an option for dealing with it. After all, they came from a country, which at one time actually had debtors’ prisons. There are a number of different kinds of bankruptcies but really only two that are available to individuals that could help with debt. They are a chapter 7 and a chapter 13 bankruptcy. The two are very different and it’s important to understand what they are. A chapter 13 bankruptcy is called a reorganization bankruptcy because its purpose is to give you a timeout during which you would reorganize your finances and pay off your creditors. The short explanation of how a chapter 13 works is that you create a plan for paying your creditors, which you submit to the bankruptcy court. If your plan is accepted, you will be protected from garnishments, lawsuits and other actions by your creditors. You will be allowed to keep your assets but, unlike a Chapter 7, you will not have your debts immediately discharged. Instead, you must complete the payments required by your plan, at which time your remaining debts will be discharged. Here’s a video that explains more about what to expect if you were to chose a chapter 13 bankruptcy. 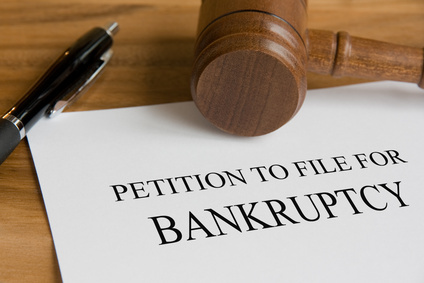 A chapter 7 bankruptcy is usually called a liquidation bankruptcy for two reasons. First, it can be used to liquidate almost all of your unsecured debts. But second, it’s to liquidate your assets so that your creditors can be paid. This is where a court appointed trustee takes control of any of your assets that are not “exempt,” liquidates them (sells them off) and uses the proceeds to pay your creditors. While bankruptcy laws vary from state to state, exempt assets usually include most or all of the equity in your house, the equity in your vehicles, your personal possessions and furnishings and any tools that are required by your job. This means that in most chapter 7 bankruptcies there are no assets that can be liquidated. These are called “no asset” cases. Most people who file for bankruptcy choose a chapter 7 as a way to achieve debt relief. This is because it will get rid of almost all unsecured debts. What are unsecured debts? They are ones where you were not required to provide any collateral. This includes credit card debts, medical bills, personal lines of credit, repossessions and collections and personal loans. Since these are the types of debts that get most people into trouble chapter 7 bankruptcies have become the most popular way to get out from under debts. Probably the biggest con of a chapter 7 bankruptcy is what it will do to your credit score. Most experts believe it will drop it by as much as 200 points. 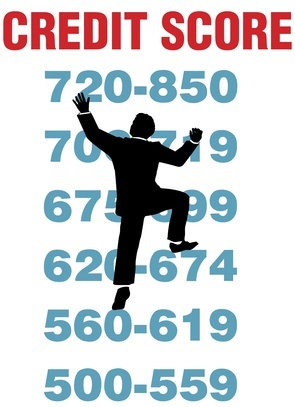 If you had a decent credit score of, say, 600 going in your score might be as low as 400 after your bankruptcy. This would make it very difficult for you to get any new credit for at least two to three years. In addition, a chapter 7 bankruptcy will stay in your credit report for either seven or 10 years – depending on the credit-reporting bureau. And it will stay in your public record for the rest of your life. A chapter 7 bankruptcy cannot discharge secured debts such as a mortgage or auto loan. It can also not discharge certain unsecured debts including child support and alimony, student loan debts and debts obtained through fraud. A chapter 7 bankruptcy will definitely have a very negative effect on your interest rates. As an example of this, if you were to get a new mortgage it could have an interest rate of as much as two percentage points higher than if you had not declared bankruptcy. Those two points may not seem like much but can add up to thousands and thousands of dollars over the life of that mortgage. Most insurance companies now factor in your credit score when calculating your auto insurance premium. This means that if you have had a chapter 7 bankruptcy that has lowered your credit score appreciably, you can just count on paying higher auto insurance premiums. If you were to file for a chapter 7 bankruptcy and had a certain amount of disposable income, your case could be converted from a chapter 7 to a chapter 13. Instead of being free of most of your debts, you would then be required to repay most of them over the next three to five years. So instead of getting a fresh start, you would three to five tough years of living on a very restricted budget.